Michael Brennan joined the Firm in January 2005, bringing more than 20 years experience serving as in-house counsel for a number of Fortune 500 retail store chains. He has developed a national reputation for integrity, responsiveness and excellence in transactional commercial real estate, and he prides himself on managing expectations and meeting time-sensitive deadlines. Serving as Assistant General Counsel for Melville Corporation from 1985 through 1996, Michael negotiated store leases, purchase and sale agreements, warehouse and satellite office leases. He provided general corporate advice and legal support to senior management of the parent company of such well-known retail enterprises as Bob’s Stores, CVS Drug Stores, Kay-Bee Toys, Linens ‘n Things, Marshalls, This End Up Furniture, and Wilsons Suede & Leather. Michael later worked for Service Merchandise, where he assisted that Company’s acquisition and disposition of commercial property, much of it owned or ground leased, and subject to both reciprocal easements and covenants affecting shopping center developments as well as financing agreements, using the value of the property to secure lines of credit for the Company. Beginning in 1998, Michael served in various legal roles for Office Depot, one of the world’s largest sellers of office supplies, which opened up to 135 new stores a year during his tenure. When he left Office Depot at the end of 2004 as Assistant General Counsel-Real Estate, Michael supervised a staff of 10, responsible for legal aspects relating to the Company’s entire real estate portfolio, most notably negotiating new and renewal store leases and integrating business terms, architectural details, and construction requirements into legal documents. Michael and his department worked closely with real estate managers, architects, construction project managers and financial analysts in ensuring that final leases reflected corporate policies and requirements in a time-sensitive environment. His duties also included supervising multi-store acquisitions, managing entries into new markets and coordinating relocations to maximize the Company’s sales and profits. 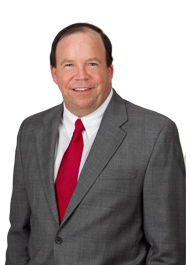 Today, Michael assists the Firm’s representation of buyers and sellers of commercial and residential real estate, as well as developers of Shopping Centers anchored by Publix, Walgreens, CVS and numerous other retailers.